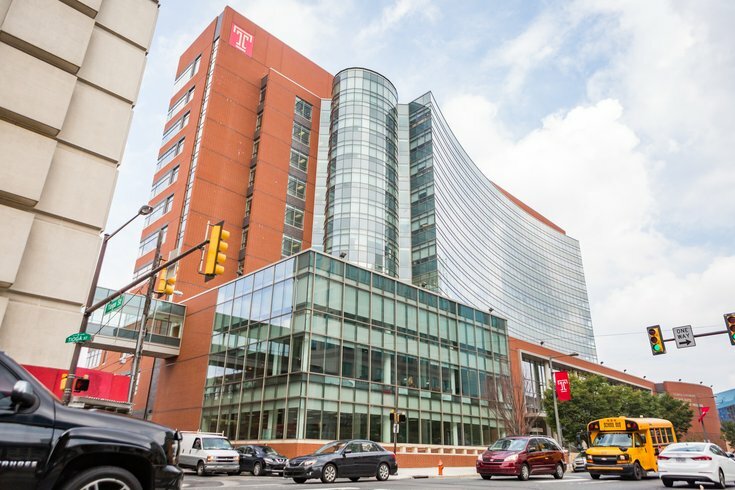 The Lewis Katz School of Medicine at Temple University on North Broad St.
Next week, one of the country’s largest chronic obstructive pulmonary disease conferences will be held right here in Philadelphia. The third annual International COPD Conference will be hosted by the Temple Lung Center, in collaboration with the Global Initiative for Chronic Obstructive Lung Disease. The conference will be held on Wednesday, November 7 from 7:45 a.m. to 8:45 p.m. at the Philadelphia Downtown Marriott. Health care workers in a variety of fields are invited to participate in the nine-hour conference discussing diagnosis, treatment and management of COPD in a myriad of talks, panel discussions and exhibits. The day will be led by Dr. Gerard J. Criner, chair and professor of thoracic medicine and surgery at the Lewis Katz School of Medicine at Temple University and director of the Temple Lung Center. Other experts will present significant updates to COPD best-practice guidelines at the conference. Experts from Canada, India, Australia, Germany, Italy Spain, the United Kingdom, Netherlands will join their U.S. counterparts for their conference. Medical professionals can earn up to 9.25 hours of continued education for participating in the conference. You can register and check out the schedule for the conference here. The Downtown Marriott is at 1201 Market Street.